Thiruvananthapuram is the capital of Kerala. 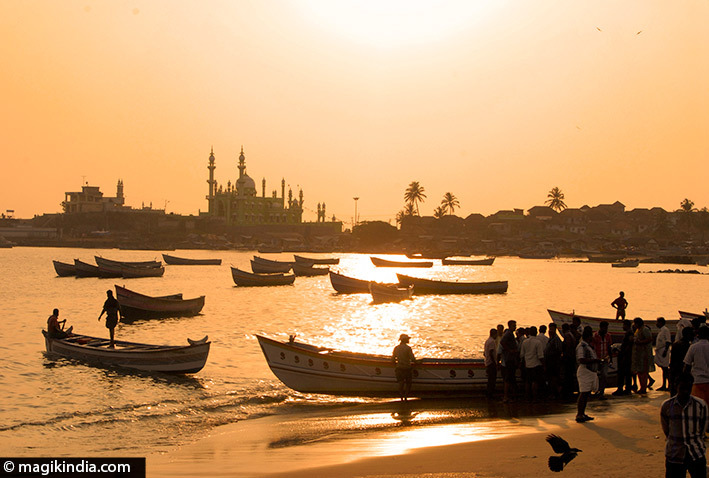 Its name means ‘city of Lord Anantha’ referring to Anantha, the mythical snake on which the god Vishnu reclines.This city has great appeal, with luxuriant vegetation, colourful harbours, beaches of fine sand and the legendary cool of Kerala. You might never leave! Thiruvananthapuram is a very ancient town and is said to have been a flourishing port city and a trade hub for spices, sandalwood and ivory as far back as the 5th century BCE. Legend has it that King Solomon’s ships called there. Thiruvananthapuram became powerful again after Marthanda Varma came to power as founder and ruler of the princely state of Travancore in 1729. The capital of Kerala was moved from Padmanabhapuram (Kanyakumari district) to Thiruvananthapuram in 1745. The town then became a major centre of artistic and intellectual life. Its golden age was in the 19th century under the Swathi Thirunal and Ayilyam Thirunal. Swathi Sangeethotsavam or Swathi Music Festival is a grand musical event organized every year to pay tribute to Sri Swathi Thirunal, who has composed many brilliant pieces of music which still fascinate music lovers. This great connoisseur and composer has to his credit more than 400 compositions in Carnatic music as well as Hindustani music. 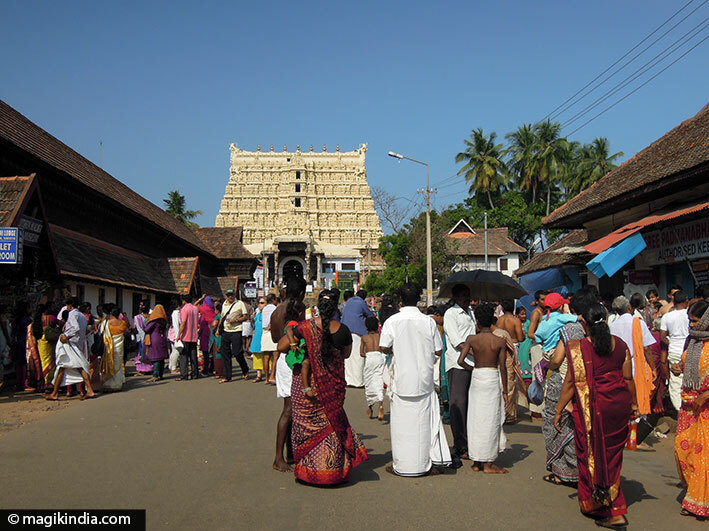 Held in the Kuthiramalika Palace, adjoining the famous Sree Padmanabhaswamy Temple in Trivandrum. 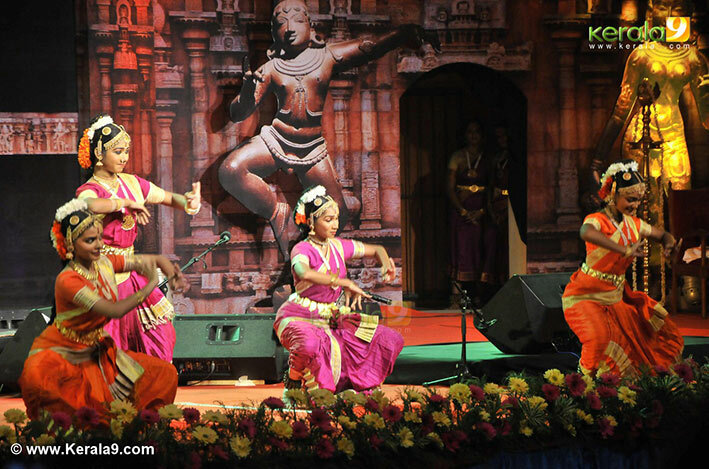 Nishagandhi Dance and music Festival popularly known as Nishagandhi Nritya Utsav is celebrated in the Nishagandhi Theatre, in Kanakunnu palace compound, in the city of Trivandrum or Thiruvananthapuram, Kerala. 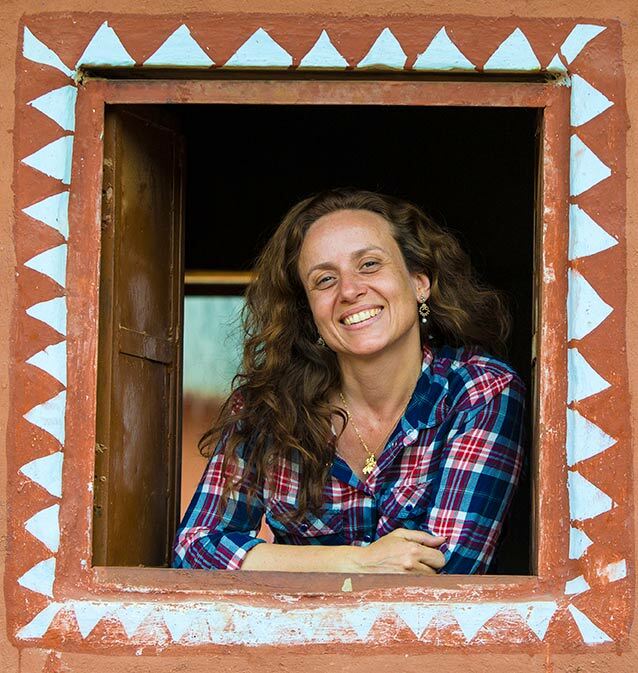 This festival is about a week long and witnesses participation from artisans all over the country. The artists who are keen on promoting the diverse Indian heritage. Attukal Pongal is a special version of the Pongal harvest festival that takes place each year at the Attukal Bhagavathy temple, 2km from Thiruvananthapuram (Trivandrum) in Kerala.On the ninth day of the ten-day Attukal Pongal festival, nearly 3 million women converge to within a few kilometres of the temple – the largest gathering of women anywhere in the world. 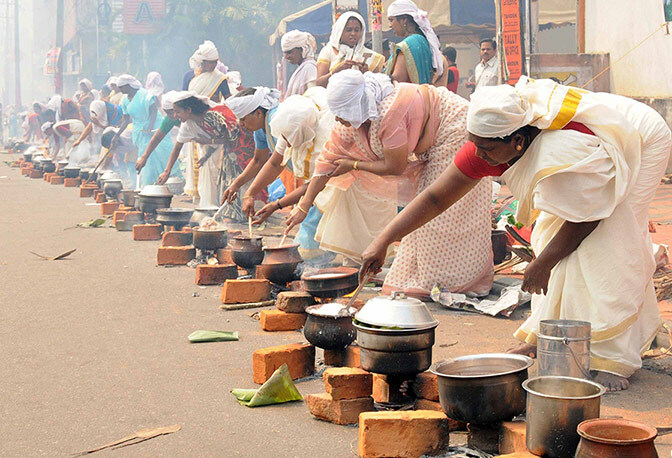 In the streets women of all castes and all social ranks prepare pongal together in small earthen pots on wood fires. 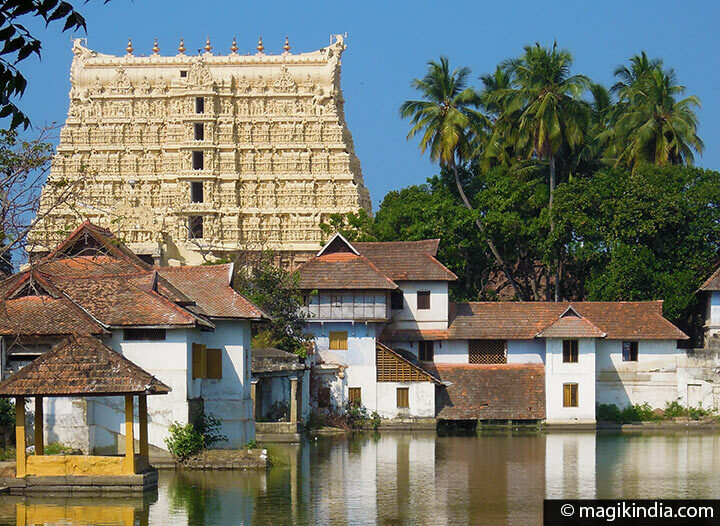 Padmanabhaswamy temple is an iconic temple and pilgrimage centre in the centre of Thiruvananthapuram. 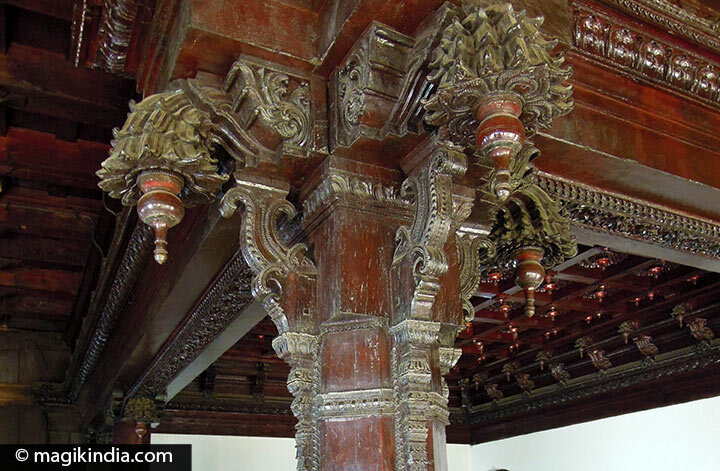 It is built in the Dravidian architectural style more common in neighbouring Tamil Nadu. It is India’s richest temple, even richer than Tirupati temple since €15 billion worth of gold and jewellery donated by devotees was found in a secret chamber. 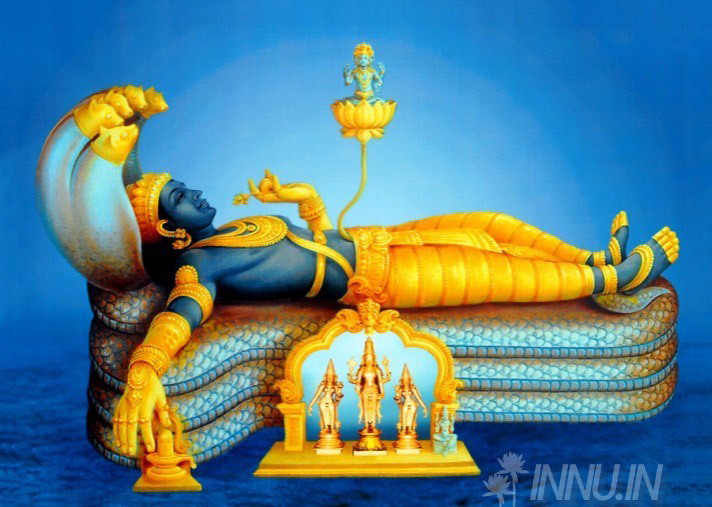 Padmanabha, the main deity, is seen in Anantha-Sayanam or “eternal yogic sleep” pose, lying on the snake Anantha. 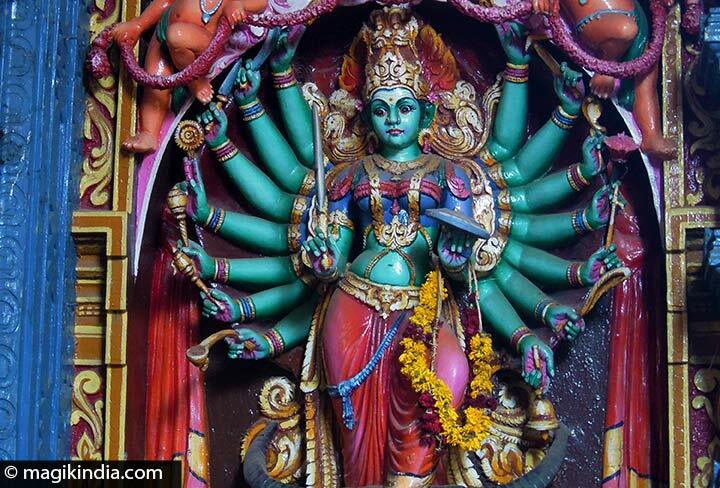 Vishnu’s consorts Sridevi (goddess of prosperity) and Bhudevi (Earth goddess), are beside him. The statue was made from 12,008 salagrama fossils from the banks of the Gandaki river in Nepal, covered with yogam Katusarkara, a special Ayurvedic mixture of ingredients that works like plaster. NB: Unfortunately the temple is out of bounds to non-Hindus, and Hindus must comply with a strict dress code. 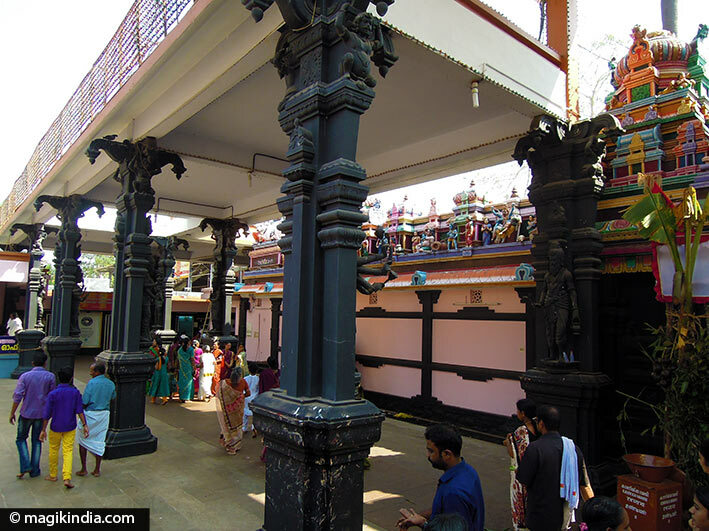 At Attukal Bhagavathy temple the main deity is the hindu goddess Kannaki (one of the names of Parvati). The temple is famous for its annual Attukal Pongala festival, for which nearly three million women assemble to prepare pongal (rice cooked with additional ingredients) in small pots as an offering to the goddess Kannaki. 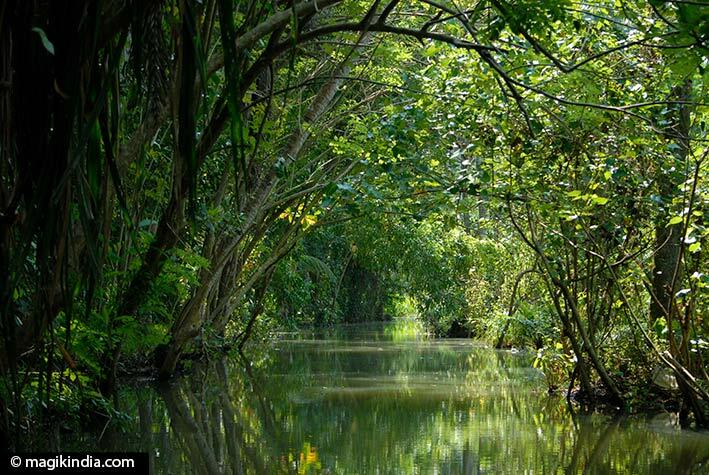 One very pleasant outing is a boat trip around the backwaters of Poovar. 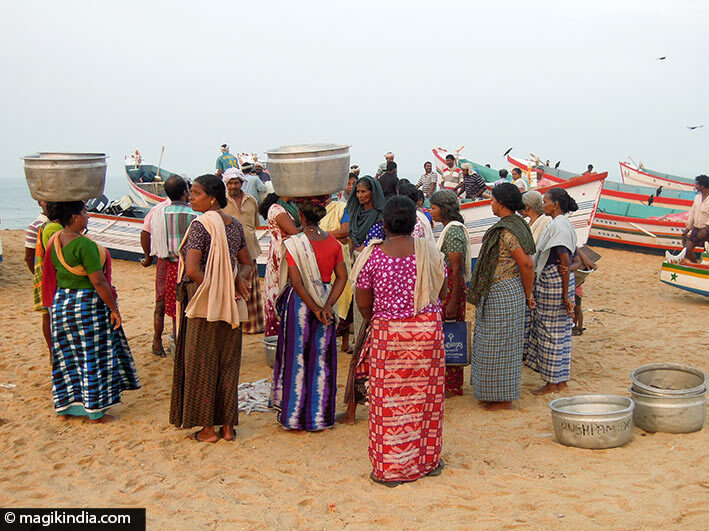 Poovar is a small coastal village in the Trivandrum at the southern tip of Trivandrum . This village has a beautiful beach and backwaters. 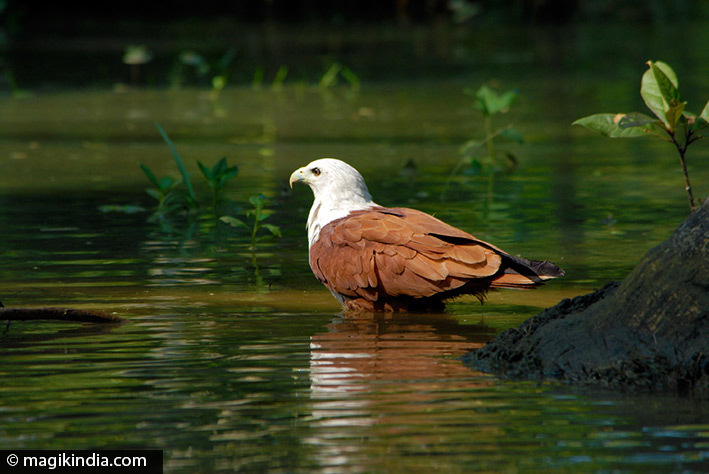 You’ll see a wide variety of birds, stop at a beautiful beach of fine sand and eat at one of the floating restaurants before coming back through the mangroves. The trip takes 2 hours in all. One of my best memories of Trivandrum is the landing of the fish catch and the market that follows. 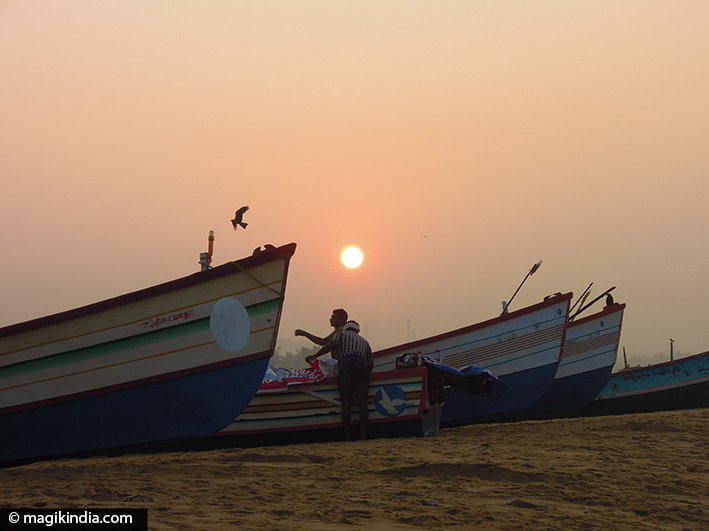 The fishermen bring their boats in with the day’s catch around 6am. There’s a whole art to pulling the boat up onto the beach (see video below) and the fish market is just as fascinating to watch. An absolute must-see. The Napier museum is as interesting inside as out. 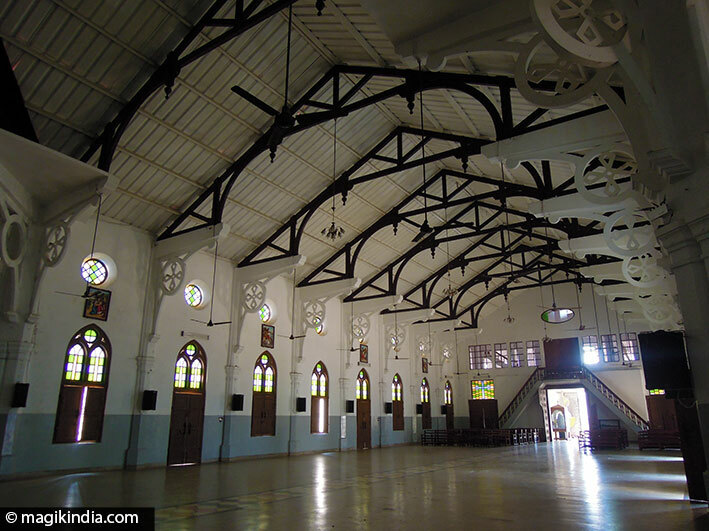 The building was designed by Robert Chisholm, architect to the Madras government, in Indo-Saracenic style. It was completed in 1880. It houses a collection of rare archaeological and historical objects such as bronze idols and ivory statues. It also houses the Sri Chitra Art Gallery, with works by Raja Ravi Varma and Nicholas Roerich. 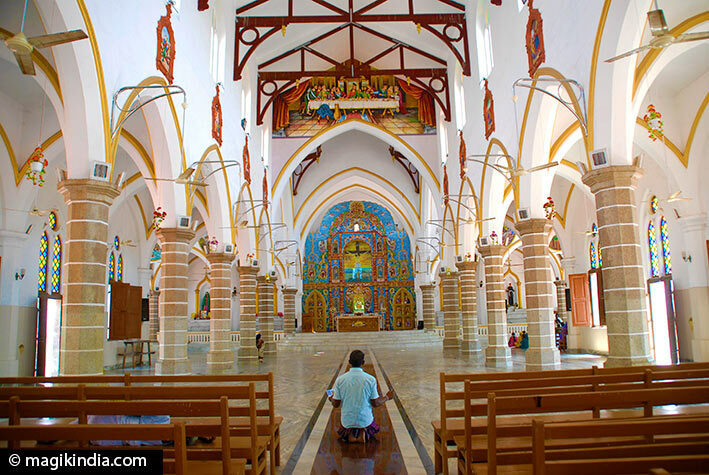 There are several dozen churches in Trivandrum, many with colourful interiors that are well worth a look. The best known are St Joseph’s and St Peter’s. 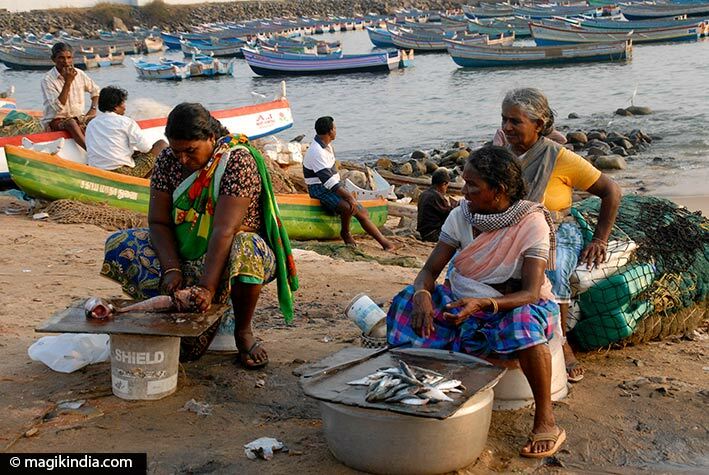 Vizhinjam is a wonderful little harbour with multicoloured boats and frenetic activity. The Portuguese and Dutch had trading posts here and St. Mary’s, the church built by the Portuguese in colonial days, is still in operation. There is also a green mosque. 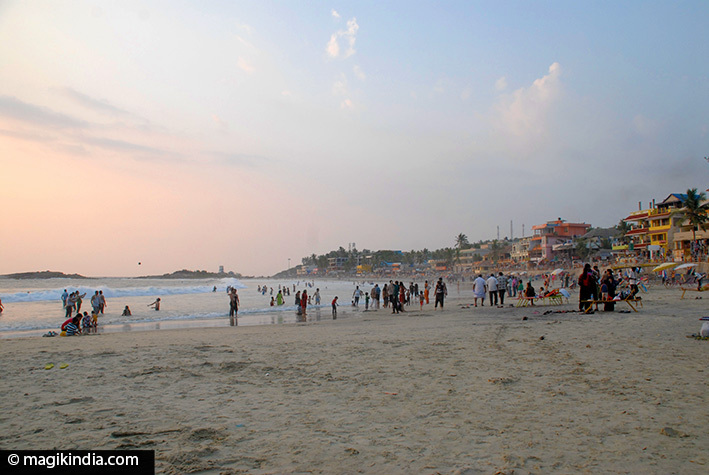 Kovalam is famous for its crescent of three beaches separated by rocky outcrops along a 17km stretch of coast: Lighthouse Beach (very touristy), Hawah Beach and Samudra Beach. 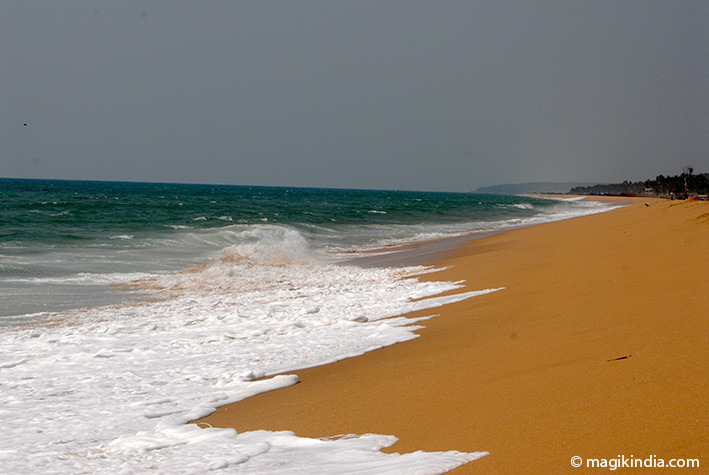 For my part I prefer to stick to the beaches in Trivandrum, which are clean and much quieter. 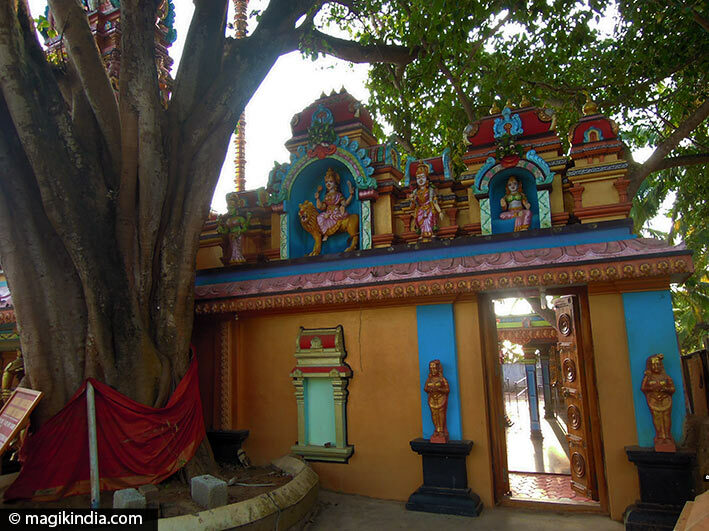 Aazhimala is a delightful little temple to Shiva about 20km from Trivandrum, on the other side of Vizhinjam. The site is very picturesque, with the sea as backdrop. 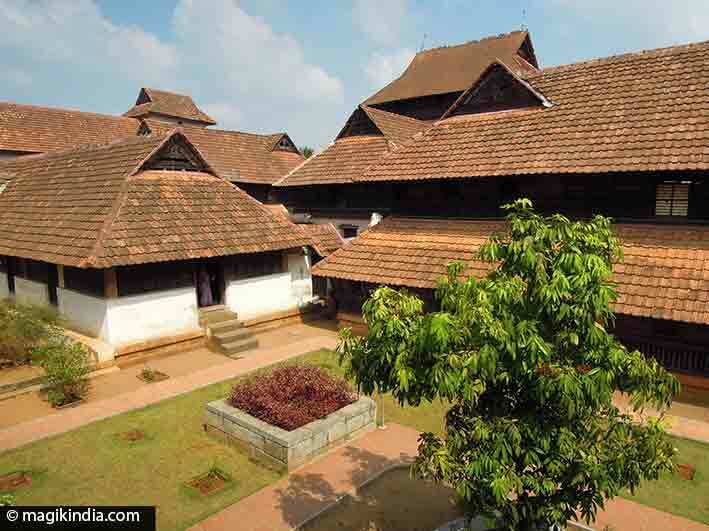 Padmanabhapuram palace is a perfect example of Kerala architecture and a good place to stop on the way to Kanyakumari. Padmanabhapuram was once the capital of the Travancore kingdom. 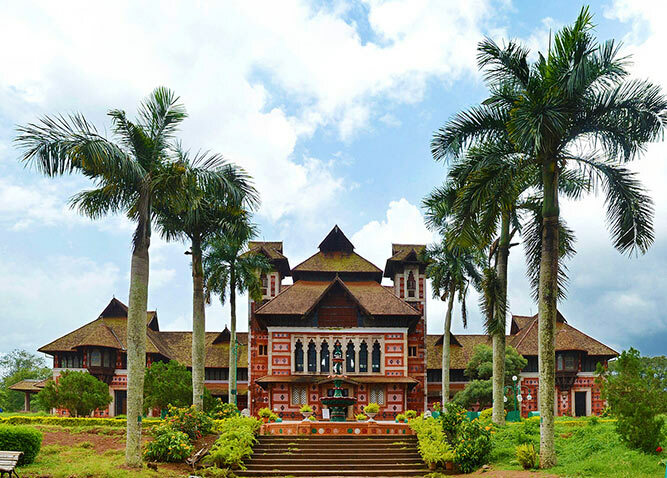 The elegant wood-built palace was constructed in 1601 by King Iravi Varma Kulasekhara Perumal and enlarged in 1750 by King Anizham Thirunal Marthanda Varma. The interior boasts richly carved rosewood and some fine wall paintings. The palace complex consists of several structures: the king’s council chamber (Mantrasala), the queen mother’s palace (Kottaram), the theatre, a four-storey mansion in the middle, and the southern palace (Thekee Kottaram).